A few months ago, my infant son started spitting it out his baby food. I got so frustrated that I just stopped giving him baby food on a spoon. He is a very independent kid and I assumed he just wanted to feed himself. I tried to give him bananas – he gagged. I tried to give him canned peaches – he spit it out. I was at a loss and feeling a little guilty over him not getting regular food. As it turns out, most babies will go through some kind of food phase. It is most likely that Micah simply enjoyed the new squishy feeling of food slipping through his lips. A few weeks later, we was “cured” of this annoying phase. But what do you do when there just doesn’t seem to be enough time to sit down and spoon feed your baby? 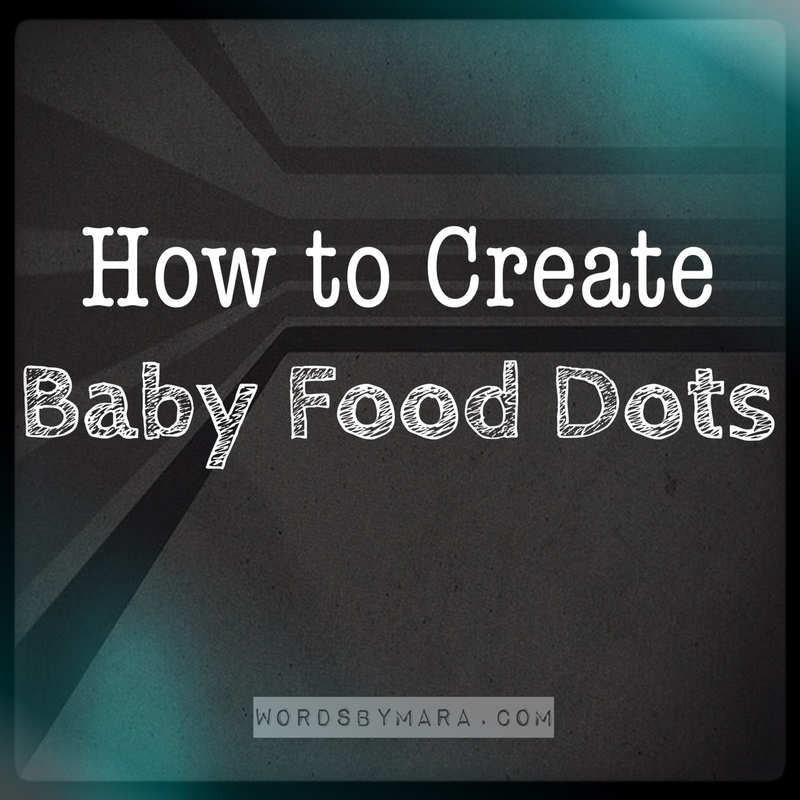 Baby food dots are a huge time saver and absolutely convenient. Disclaimer: they can be rather messy. I cannot take full credit for this idea, but I can take credit for the modifications. A friend shared this idea with me on Facebook (thanks Shannon!). It took me a couple tries to perfect the process – so allow me to share! And please… pass this on to all of your mom friends. Start by combining 3 to 4 jars of baby food into a bowl. My favorite little money saver tip is to look for “discounted” baby food at Walmart or wherever you shop. Mix in 2 TBSP of baby oatmeal or rice cereal. You want a thick texture, but it shouldn’t be unmovable. Adding this ingredient has benefits – such as “filling up” your baby before bed time and it’s also easier to pour. Line a baking pan/sheet with wax paper. Remember – this needs to fit in your freezer for at least an hour. 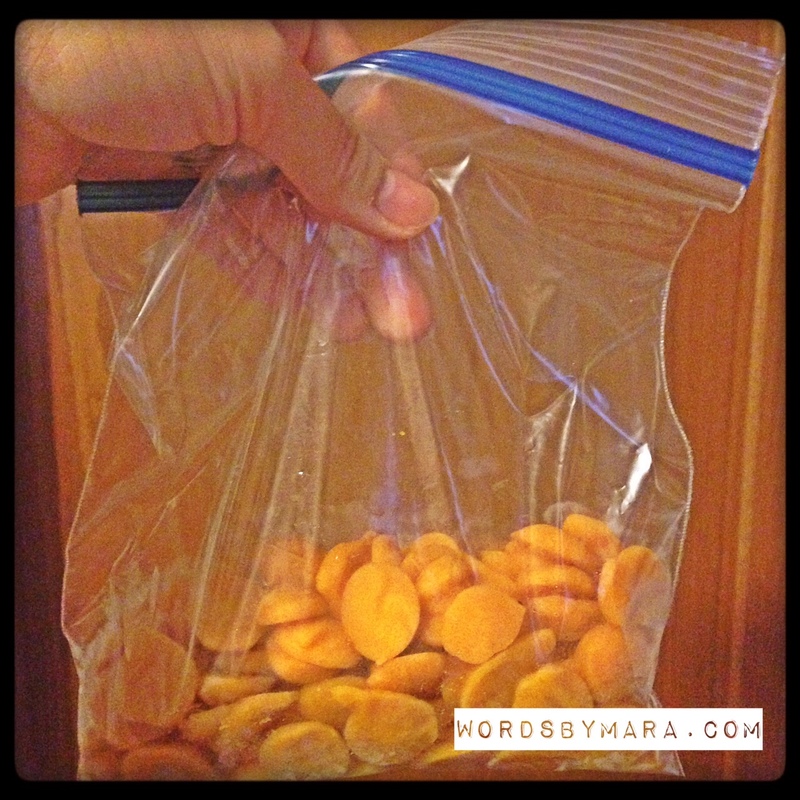 Carefully dump the contents into a quart size bag (or whatever you have around the house). This part gets a little messy. Get all the air out and seal the bag. Cut a 2-3cm hole on a corner of the bag. Now – you have a piping bag. The baby food will come out rather quickly. So, angle the clipped end upwards. Gently squeeze from the top of the piping bag on to the wax paper. 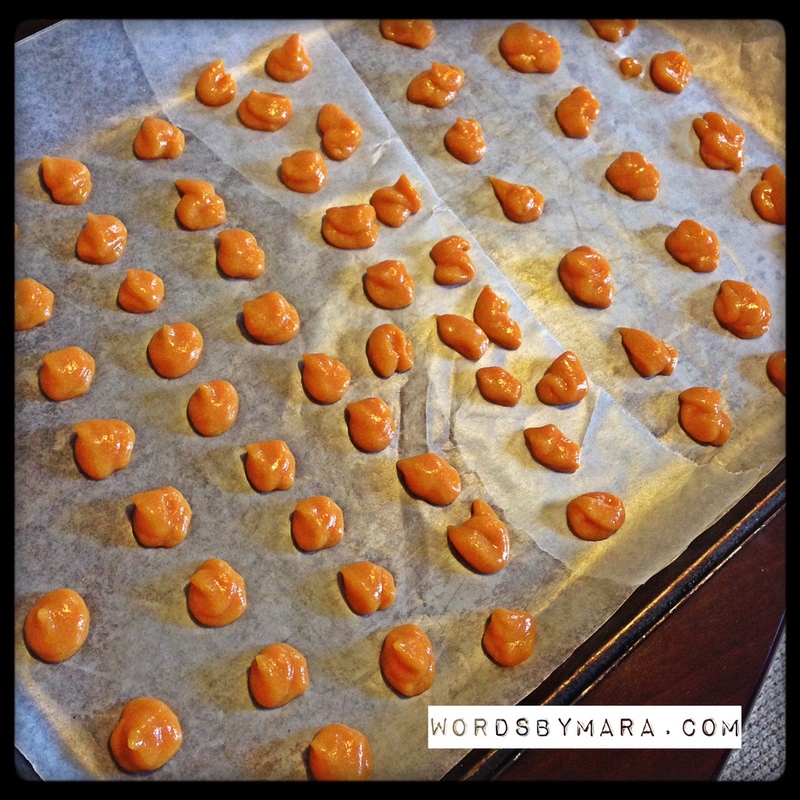 Create small nickel sized drops on the wax paper. Your baby is getting valued nutrients. Your baby can feed themselves. Your baby will “fill up” with the added oatmeal or cereal. It allows you to get stuff done in the kitchen or around the house. It’s great for teething babies! This can be super messy – especially if your child likes to rub food all over themselves like mine does. I recommend the dots on bath nights. 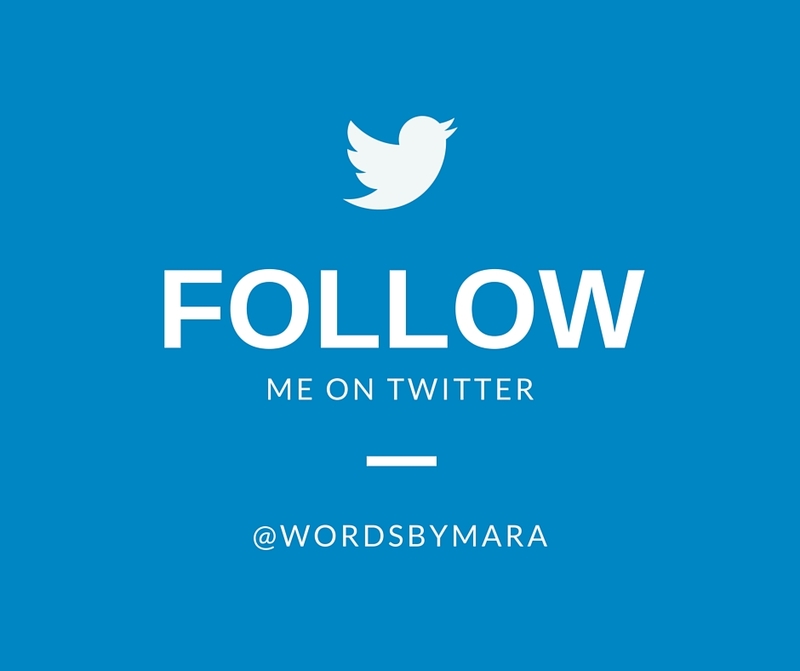 Copyright 2015 WordsByMara. All rights reserved.